Biz4Intellia is a well-integrated combination of IoT devices, an IoT platform suite, and configurable business services. Biz4Intellia produces a seamless end-to-end IT choreography to support intelligent operations and improved business process execution to achieve specific business objectives. 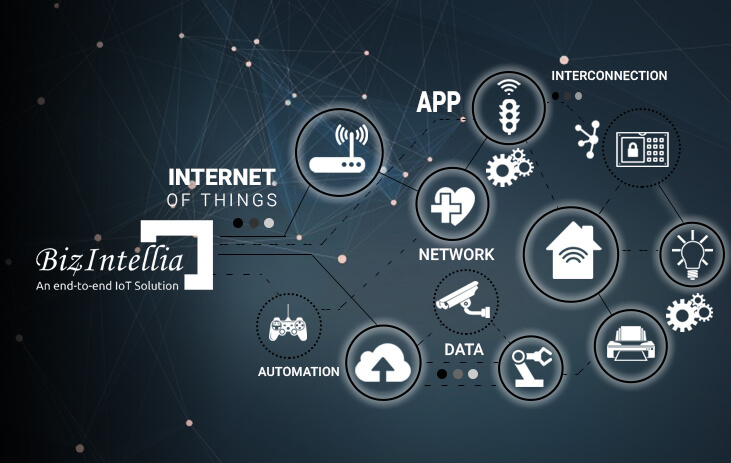 IoT platform suite (Building block of Biz4Intellia) comprises IoT endpoints, one or more IoT edge gateways, and one or more IoT platform hubs. Business Services (Another building block of Biz4Intellia) provides out of box configurable business services including Device Management Services, Network Management Services, Reporting & Notifications Management Services, AWS Platform Management Services, Data Ingestion Services, Account Management Services, Mobile App Services, Custom Functionality Services, and Advanced Data Analysis & Machine Learning. Sanjeev is the Chief Executive Officer (CEO) of Biz4Intellia, responsible for leading Biz4Intellia's global business strategy and operations. He also serves on Biz4Intellia's Board of Directors. Sanjeev brings over 20 years of experience in the Software and IT industries including a long track record of building successful Organizations across the world. At Biz4Intellia, he is focused on building a fast growing, market-driven company that delivers one of the best IoT product in the world. Our mission is to make business processes effective with Internet of Things technology to provide financial and non-financial advantages like incremental revenue, improved safety, security, and quality of life. We vision a future where Internet of Things will revolutionize the world through digital transformation to build a progressive and sustainable environment. We work as a responsible corporate citizen of this society and work towards the betterment of it. We don’t consider the work done until the customer is delighted with our services. The transparency of our business operations, among the stakeholders, is the foremost priority. Yes, the efforts and journey matters, but the execution of tasks matters the most. We ensure honesty and fairness in all our operations and will always follow the same. We are committed to executing our work deliberately, without any flaws.